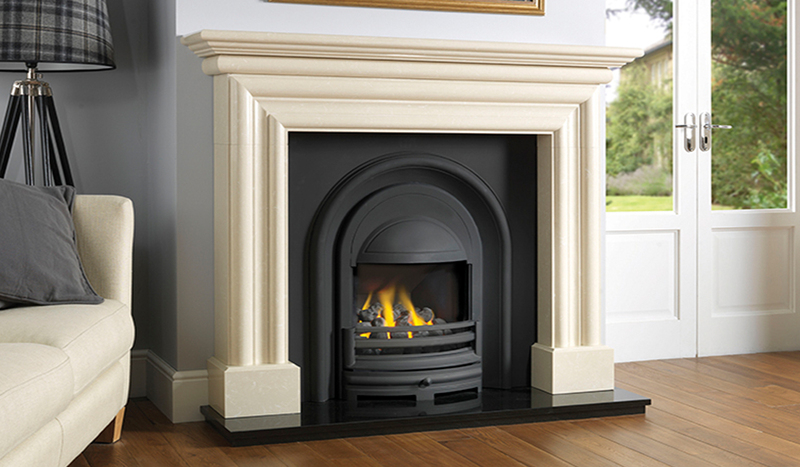 The Royal Integra is a plain Arched Insert with a matt black finish. Whether in a contemporary or a traditional setting, the finish of the Royal casting will compliment a range of decors. It is pictured here in the Hexham mantel in Mocha Beige. Suitable for gas, electric or solid fuel appliances.